This is the headline that wrapped up my hiking trip on the West Coast Trail a week ago today: Rescuers from Comox had to Overcome Bad Weather. With four fabulous days of hiking and hard work behind us, and only two days ahead of us, my brother broke his ankle. In a moment our journey shifted from exploring a beautiful land and shore to a journey of a different sort: ensuring his well-being and survival. I was patched through five places before I found Purnell and Shannon, the West Coast Trail search and rescue personnel. At last, someone knew where we were and that we needed help. We were to sit tight until they determined what action to take and called us back. But they couldn’t call back. My phone could not make or receive calls. This might look like it is the beginning of a bad story, but it isn’t. I made contact with a sliver of the emergency response system on Canada’s west coast. I am just now grasping the sheer size and significance of the organizations and institutions that got my brother to safety and set him up well and quickly to begin his healing journey. In the big picture, several institutions were in service. All the operators who helped me get through to Purnell and Shannon. 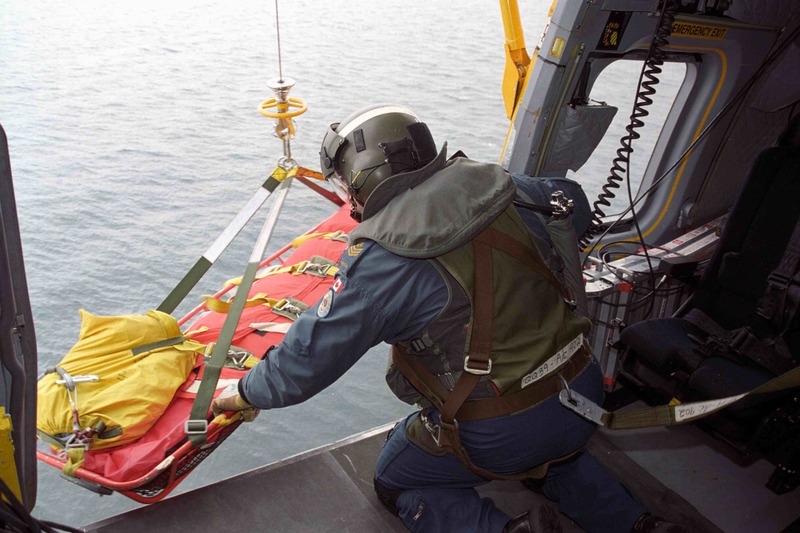 They ascertained that it was not possible for my brother to get off the trail on his own or carried down by stretcher, night was falling and the weather deteriorating, they called the Joint Rescue Co-ordination Centre in Victoria. 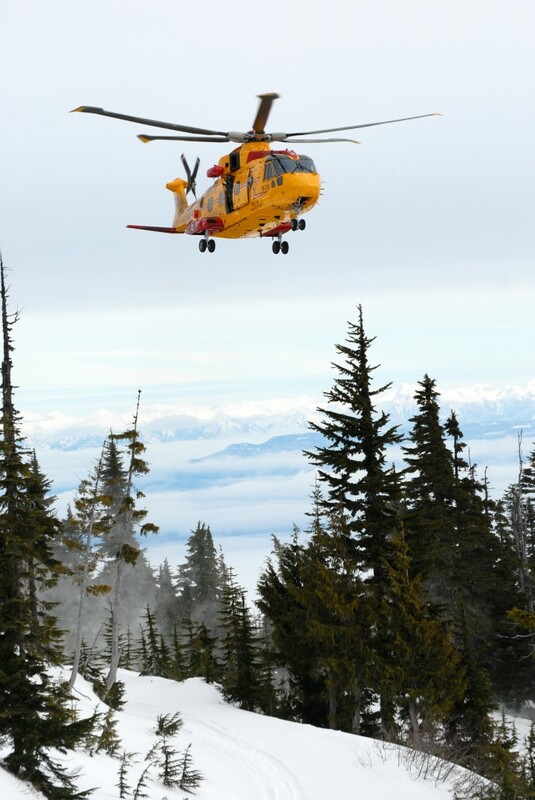 This engaged 442 Transport and Rescue Squadron and 19 Wing, Canada’s only air force base in British Columbia, out of Comox. The face of all the help behind the scenes began with Search and Rescue Technicians (SAR Techs) Chris and Marc (with a ‘c’). Since there was not enough fuel to get my brother straight to the hospital in Victoria, the airport got involved, as well as Tracy and her partner with BC Ambulance. Then all the emergency room staff, who were waiting and fabulous. And the x-ray gal. And the orthopedic floor staff, the surgery staff and a physiotherapist. And all of the systems behind the scenes that enable these people to do their work: the mechanics, accountants, managers, support staff, building maintenance personnel, lab technicians, including the providers of fuel and energy for all of this to work. Everything just got looked after once I told the system help was needed from a tiny phone on kilometre 33 of the West Coast Trail. The whole system did this in 24 hours: search, rescue, deliver, diagnose, operate and discharge. Within 24 hours of his fall, even surgery was behind him. This is remarkable. This huge system of systems worked as I could only dream. The system helps me when I know what I want from it. With each call into 911, my message to the operators got more and more specific. Eventually, I learned to say to the US operator, “Please put me through to British Columbia RCMP.” Then to the RCMP operator: “I am on the West Coast Trail of Vancouver Island awaiting evacuation. This is the only way I can get in touch with the people helping us, please put me through to this phone number.” They did it. And eventually, they knew my calls were coming and helped even quicker. I need to learn about the system to help the system help me. I had to craft my message to be responsive to the kind of help that operator offered. I had to learn their language. Mentioning the West Coast Trail to the US operator was meaningless. The path through the maze was much smoother when I had the right language for the right people. I need to learn and adapt with the system to help the system help me. I became a part of the system when I made the first call to 911, which required me to learn and adapt with it as we adjusted to the unusual situation where my phone could not make or receive calls. The system helps me even when I don’t know what I want from it. In the end, the system just delivered what was needed. It has expertise that I do not have and it was delivered via phone, on the trail, in the air and through to the hospital. To receive help, I have to be willing to let the system help me. I remember a couple of times feeling mad and frustrated, but I know that if I got mad, the system would just have a harder time helping. There is a big system invisible to me that is there to serve the public. It might not always work this well, but the point is that it did. Various parts of it slip into play when needed, and slip away when not needed. This big system works. It can do what we ask of it. My fellow citizens and I have created this system and its service. As a taxpayer I pay for it. I am glad I do. 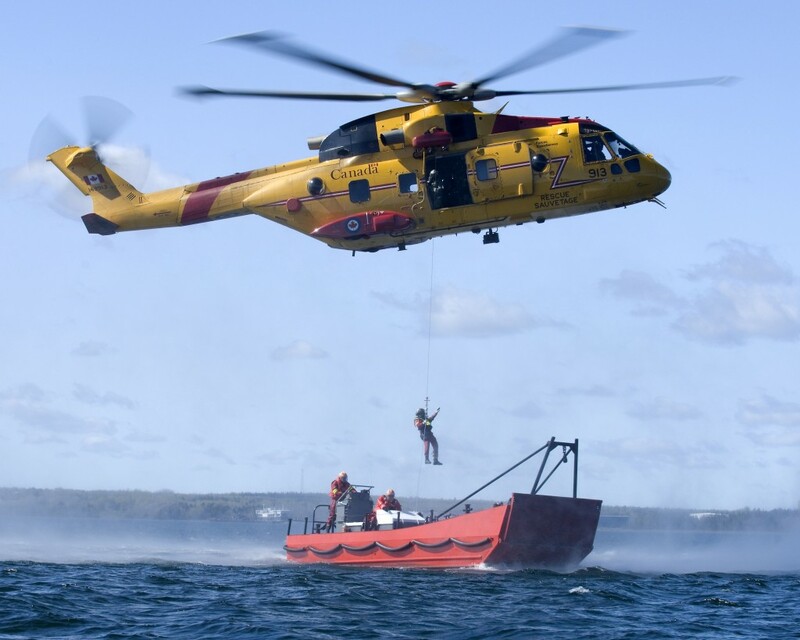 I find that I am all caught up in the pride I feel in Canada’s search and rescue and health personnel – and in particular the people that came to get us. Two people we didn’t meet, Purnell and Shannon, were on their way by zodiac to spend the night with us if the conditions made it impossible for the airlift to take place. They also coordinated getting all our gear that we had to abandon on the trail, back out to us in Victoria. Thanks to the folks that live on Nitinat Lake for the transfer. All that is missing is a sandal and a water bottle. We didn’t expect this. Thanks. I am quite moved by the experience of being rescued. My whole body vibrates when I recall hearing the helicopter, but not seeing her for a long time as I waved flashlights into the sky as she hid behind the low cloud cover in the rainy, dark night. At last, we could see the bright lights of our new friend the CH-149 Cormorant, and when we saw the first SAR Tech lowered from the helicopter, we knew help arrived. We saw a second SAR Tech lowered to the ground, and a Stokes litter (rescue basket/stretcher), then the helicopter flew off. We waited and waited, but no one came up the path. We thought we must have been dreaming. After a few hollers back and forth in the quiet, I learned they were in the bush – I had to head down the path to help them find their way to my brother. And so we met Chris and Marc and they settled in to do their work and prepare my brother for transport up to the helicopter. And their immediate confirmation that there was no other way for a guy with his foot pointing in the wrong direction to get off the trail. My whole body vibrates again as I recall the SAR Tech preparing me for my trip through the air up to the helicopter, his help to stand in her downdraft that was snapping trees, and the wind-whipping trip itself. I was a shock to be physically touching help (him) and feeling help (him) and being held by help (him). Then trusting that below me my brother was also coming up safely, but alone, in the Stokes litter. And then help, in the shape of this big bird, whisked us away to Victoria and the next phases of help. The 19 Wing badge (shown above) is most appropriate. cx2003-0152-20c CFB Comox, BC 24 April 2003 Sergeant Mike Falardeau, a Flight Engineer at 442 Squadron Comox, prepares to lower the stokes litter to the deck of the HMCS Brandon during a hoist exercise outside the Esquimalt harbour in Victoria, British Columbia. Photo by corporal Miranda Langguth, 19 Wing Imaging. Thank you Squadron 442 . HAIETLIK, the Lightening Snake of Nootka Indian Legend in the center of your badge resonates with the history of the land you plucked us from. And your motto, UN DIEU, UNE REINE, UN COEUR, resonates with your purpose – that others may live. Thank you to the land of the Nootka. Thank you for the experience of enjoying your land and shore. Thank you for the safe departure. Thank you for returning our gear. The whole experience is a gift. We will be back to pick up where we left off. For those that know the trail, we were traveling from south to north. The hard part is behind us. Here is what the first sounds of rescue sound like (the CH-149 Cormorant). Beth – this is wonderful: that your brother and you are back safe. And the depth of reflection you took from this experience. May I use this in an upcoming workshop on systems? Absolutely, you can use this in a workshop. I would love it if you did. Wonderful report Beth! So good to read of the safe return. And of your reflections on and respect for the survival systems. Thank you for sharing. Perhaps I’ll get to meet you when I visit your mom and dad in June….I am a longtime friend of Marg. Thanks, Corinne! I know exactly who you are, and I look forward to meeting you. Wow Beth! That is an amazing story! Glad you are back safe and that you were able to cull some significant perspective from everything. We do live in amazing times. First, I want to take a moment to express gratitude that this adventure has a happy ending, now that I have met your entire family! Second, to appreciate your ability to explore the system within this adventure and tell the story so eloquently. Thanks for sharing. Thanks, Jane. It was quite the experience to ratchet down to survival mode like that, but see that others not in survival mode are in service to your very survival. Even the hotel people were helpful beyond belief. What an experience. Beth you and Scott stayed focused and used the technology available to you to affect a timely rescue. I suspect that in the future both of you will want to ensure that additional tax dollars are spent in ensuring that a better Canadian based West cost Trail communication system is put in place. Thank goodness for the Americans. If it hadn’t been for the Washington operator Scott might have been in very serious trouble. Someone needs to re-think the type of support system people need to utilize the West coast trail system. When we landed in Victoria and we getting ready for the transfer out of the helicopter we made a point of thanking the pilots, flight engineer and the SAR Techs. (I imagine there are a lot of people that are not in a position to say thanks.) One of the pilot’s response was “anytime.” Our response was, “well no. Not ‘anytime’, but we are glad you were there.” We don’t want to have to call on them again! They said “tell your MP”, at which point we had a laugh because Scott twigged immediately to the fact that Laurie Hawn is our MP, who has a significant history with Canada’s Air Force. They knew exactly who he is. And Laurie Hawn has been advised that we are happy taxpayers for search and rescue service. Hi Beth. I am so happy you and Scott are safe. It is wonderful to know the systems work together when required. We can be thankful people choose the occupations they do and learn the required skills that can lead to survival. You are a wonderful sister–you were able to be a part of that system. Friends of ours had a similar experience when visiting the Cook Islands–it was not cold and they were with a group so were not alone; however, there was not a helicopter and the transportation was simple as was the care. The care had to be completed once they reached home. When Thomas and Jaime visited the Cook Islands at a later date, they went on the same hike and met the guide. He remembered the man who had broken his ankle and showed them where it had happened. It is important to write to clarify your thoughts. “The Rhyme of the Ancient Mariner” comes into play. We can add our voice to our MP. It certainly is reassuring to know the systems do work well together when needed – and in fact can work very well together!